HippoEDIT 1.60 era disponibile come app gratuita il 01 gennaio 2018! HippoEDIT è un text editor Windows per programmatori e utenti esperti. È possibile utilizzarlo come un IDE completo con il supporto di progetti, tool esterni e auto-completamento, oppure come semplice visualizzatore di codice sorgente per i web browser e shell. Con HippoEDIT, puoi aprire grandi file di log, visualizzare ed editare testi Unicode, aprire file in diversi stili di codifica e di interruzione di linea. L'editore supporta l'evidenzia della sintassi e la descrizione del codice per molti linguaggi di programmazione, plugin estendendo l'editor con nuove funzionalità (FTP Explorer, File Explorer, Spell Checker, Emmet e JS Beautifier, HTML Tools, XML Pretty Print, Live Colors ecc.) e schemi di colore. HippoEDIT ha molte caratteristiche uniche che non troverai in altri editor, che potrebbero accelerare e semplificare il tuo lavoro. Come la barra Hierarchy e Navigation, Colored Braces and Guides, tool per vedere in anteprima colore e immagine, Intelligent Smart Highlight, Code Hints, ricerca Fuzzy, Evidenzia Testo Utente, MultiClipboard, e Workspace ecc. I have too many editors. I think this maybe a contender but not even close to equal to the power of ATOM or Brackets that have many features that this editor doesn't have. I think that notepad++ is too close to this one but free and that is the bottom line. At near 50.00 for a perhaps little better replacement for notepad++ I don't see how a hierarchy and navigation bar as you stated are enough to warrant the expenditure. This is a time-limited offer and because of that I am going to pass. Not to mention that there are a plethora of free IDE's IE: Eclipse, Net Beans, Visual Studio, code ect... that just outclass any text editor period. 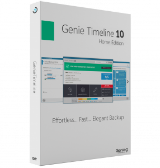 I am going to say this that you have a good text editor and one that is a true contender but It must be competitively priced, and by that I mean it must be free. What I love most of this editor is the clever way it handles dictionaries. However it is a bit expensive and seems to be abandoned. Notepad++ is a serious free competitor whose last version is 7.5.4 released just now 01 Jan 2018. Happy New Year! I want to concur with Jake. 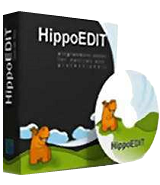 HippoEDIT is the best and most comprehension text editor I've ever used. I've compiled several illustrated ebooks using it. Leaves the free editors behind in its dust. And the developer allows multiple uses - i.e., on different computers in the home. Plus, he answers any query very quickly. It's a great editor! Too bad there wasn't any development for 3 years. M. H., check out the minor version number and build dates in the About panel previous giveaways build date was late feb 2017 NOT 2015! This developer does not change the marketing version number on bug fix builds only on major feature additions, a bit like how Microsoft does with windows issuing monthly bug fixes that do not change the windows version number we see at all. There certainly is ongoing development of this product with their latest build date on their website being 05.04.17 according to the page https://www.hippoedit.com/download.php?lang=en with the next version 1.61 being in beta release.